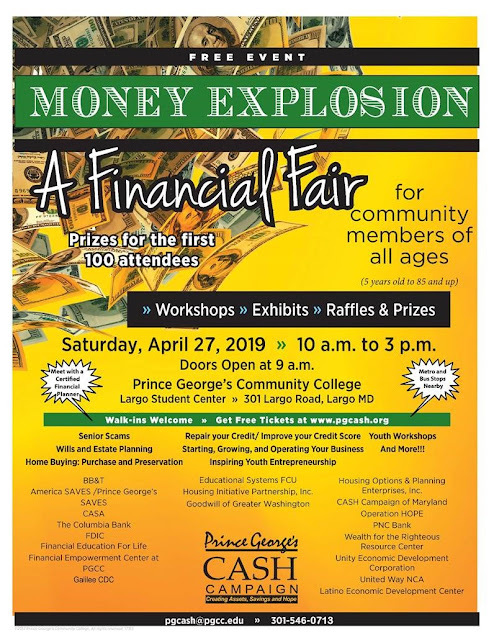 2019 Money Explosion: A Free Financial Fair is being held at Prince George’s Community College Campus on April 27th, 10am-3pm (Doors open at 9am) in Largo Student Center. This is going to be an outstanding event for all ages. There are workshops (English and Spanish) and activities for everyone. We have workshops for seniors and adults including topics on Retirement, Money Management, Wills and Trust. We have a special track for high school and college students on entrepreneurship. There are special programs for children 5-14. 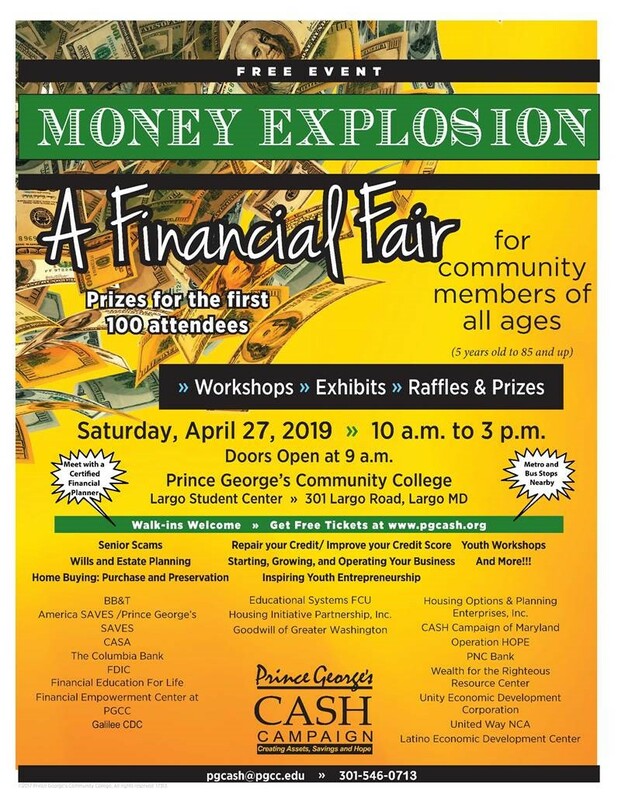 This is a great opportunity, especially during Financial Literacy Month. Tickets are free and can be obtained online at www.pgcash.org. Lunch is included. Make this a family event.